The only thing worse than a damaged or leaky roof is discovering it the hard way. So before the storms hit, hop up on your roof and perform an exterior check. Red flags include torn or missing shingles, signs of rot or mold, loose material, or poorly-attached gutters. 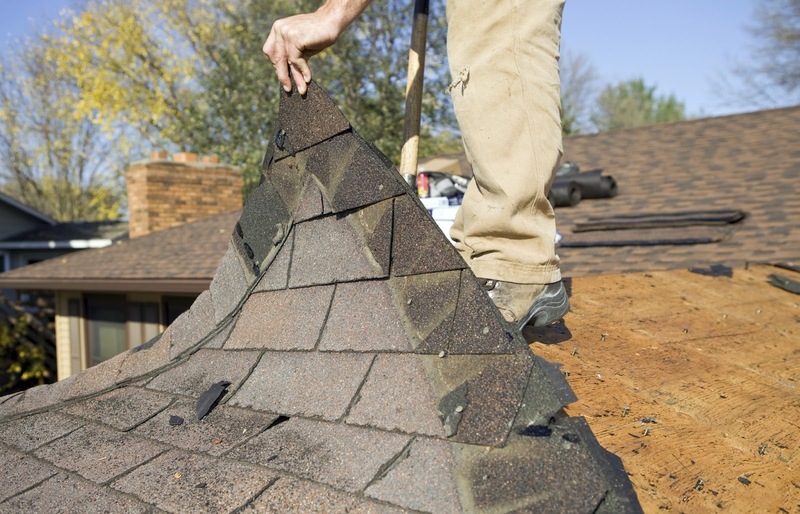 If you need to replace any shingles and you don’t have extra shingles from the last you worked on your roof, pick up a sheet at the construction store and use a cut-off saw to trim the sheet to size. Cut-off saws are perfect for working with abrasive building material like roof tiles, and we happen to sell all the cut-off saw supplies you’ll need. If you’re lucky enough to live in a wooded area – or even a back yard that boasts a tree or two – then perform a yearly check to make sure trees within falling distance of your house or a fence don’t show signs of becoming a costly problem. There’s a vast difference between the natural process of losing leaves for the winter and disease or damage, and the signs of a problem will be fairly obvious: soft spots on the trunk, oddly discolored leaves, multiple broken limbs, or large cracks on the tree bark. You can also perform the “twig test” and check to see whether a twig is green inside (a signal of good health) or brown (a sign that it’s dead) upon breaking it in half. If a tree seems diseased but not dead, it’s okay to not give up on it just yet, as many species are quite resiliant. However, if the tree suffers from rot anywhere near or on the roots, it’s extremely likely to succumb to the wind and topple; as a rule, any root damage is a sign that it’s time for the tree to go. In that case, remove the tree pre-emptively in a safe, controlled way with a powerful chainsaw like one of the Stihl varieties. Keep your Stihl at its best with our Stihl replacement parts. Once the outdoor work is out of the way, tackle your basement and attic to save money on heating and repairs. Use an indoor sealant like liquid rubber to patch up any cracks or holes you can find to prevent drafts and leaks in the walls and floor. Do the same for any windows with a window insulation kit or even just use a low-cost window insulation foam. If your attic is the type that uses pull-down stairs from a hole in the ceiling, then use some plywood and a chainsaw to make a DIY stair cover and prevent heat from escaping upstairs. Even the simplest insulation can save you hundreds of dollars on energy. You’re done! So, get out your leaf blower and get ready to enjoy one of the best seasons of the year.